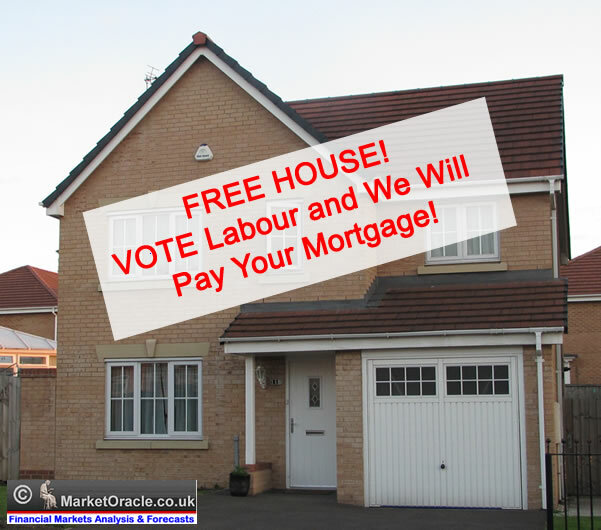 SMI Labour Benefit's Culture Catastrophe - Come to Britain and We Will Pay Your Mortgage! You want a FREE £200k+ House? Then come to Britain, and we will give this and much more, only thing you need to do in return is to vote Labour. Britain continues to suffer the consequences of rampant Labour government bribery of the electorate in terms of expanding the width and breadth of the benefits culture that has resulted in enticing approx 1/5th of those of working age that could work ( 8 million) to instead park themselves onto benefits for life where the name of the game is how to maximise benefit receipts rather than engage in productive activity. The net effect of the benefits culture is that for MOST working families, at the time of the last election it was far, far better to park themselves onto benefits than to work, the resulting £200 billion total benefits bill of which at least £40 billion is out and out fraud as a consequence of those that could work making a life style choice to instead become baby making factories to maximise benefits without consequences for the impact of having children that they have little intentions of actually looking after has on wider society. This article focuses in on one aspects of rampant benefits fraud as illustrated by Support for Mortgage Interest (SMI), which the Labour government introduced to bribe approx 240,000 additional vested interest voters. The public spin on SMI was that it supports those who become unemployed, paying the interest on mortgages for upto 2 years of upto £200,000 at a flat rate of 6.08% which translated into a maximum benefit of £12,160 per year on top of ALL other benefits. This despite the fact that the policy of zero interest rates had long since pushed mortgage interest rates to about HALF the amount of benefit being paid out! So the tax payer had been effectively paying Interest AND Capital as in a typical 3% mortgage rate the benefit covers the interest on a mortgage upto £400,000! The Collation Government eventually cut the interest paid from 6% to 3.63% which still amounts to an annual benefits payment of mortgage interest to a maximum of £7,260 for what amounts to a life-time mortgage interest payments. The coalition government is desperately attempting to unwind labour's benefit for life culture through several mechanisms including introducing a £25,000 benefits cap and the bedroom tax, thought both of these are repeatedly watered down to dilute savings in the annual benefits bill or to entice those that could work to actually start to contemplate working (legally). The coalition government has already acted to bribe voters by extending the SMI scheme into 2016. This effectively acts to PROP UP house prices. The system of bribing voters to get elected is designed to bankrupt Britain. 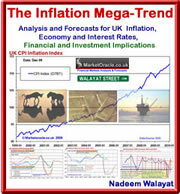 Protect your wealth now from incompetent corrupt politicians before inflation erodes away the value of your hard earned savings see my latest ebook in my Inflation Mega-trend series Stocks Stealth Bull Market 2013 and Beyond (FREE DOWNLOAD).